APR – Annual Percentage Rate means the annual interest rate charged on cardholders if they don’t pay off the entire balance in full each month. In the U.S., APR is typically stated as the periodic interest rate multiplied by the number of compounding periods per year. 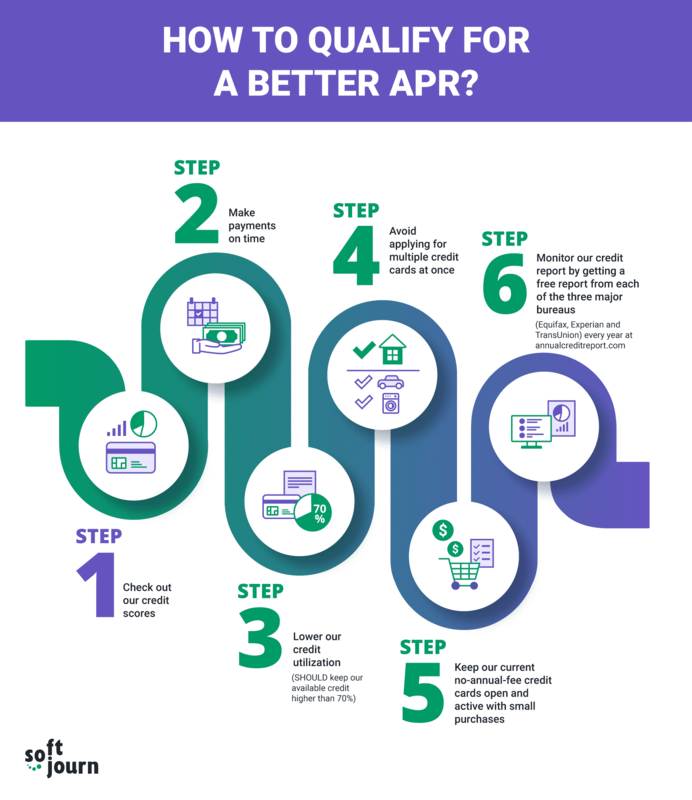 In addition, it may be not easy to come to the conclusion about which criteria issuers rely on to evaluate cardholders’ APRs, especially when APRs are attached to the prime rate - the lending rate that banks offer customers with the best credit. When the prime rate increases, credit card interest rates often do as well. Some cards have APR ranges which depend on the type of credit cards cardholders use and their creditworthiness. It means the better their credit score, the lower their interest rate and vice versa. It is worth noting that the following instruction is just applicable to the consumers whose credit scores need a boost and they are unable to negotiate with their creditor for a lower APR1,2. 1O’Shea B. (2019, February 4). How to Get Your Free Annual Credit Report [ Blog post]. 2Lambarena M. (2019, March 27). What Is a Good APR for a Credit Card? [Blog post].